Our skin is exposed to the elements and pollution very often, which cause it to lose its natural oils. This affects negatively the skin, making it dry and rough to the touch. The drier your skin, the more it is likely to peel and flake. A dry skin also does a poor job in protecting the tissues underneath. Skin care products are often full of artificial chemicals and scent. By adding them to your skin you could be doing more damage than good. The good thing is that there are many ways you can use natural, affordable and chemical-free products to care for your skin. The homemade scrubs are easy to make with products found in your pantry and will leave your skin feeling clean and fresh. A homemade sugar scrub helps to restore your skin’s normal texture, relieves dryness and exposes a fresh layer of undamaged skin. These DIY body scrub recipes are also perfect projects to make as a treat for someone special in your life. With only three basic ingredients (oil, sugar and essential oil) you can create the perfect homemade exfoliating scrub for every occasion. We have a few inspiring recipes below that will make great gifts, from Mothers Day Sugar Scrub to a beautiful Christmas Sugar Scrub. 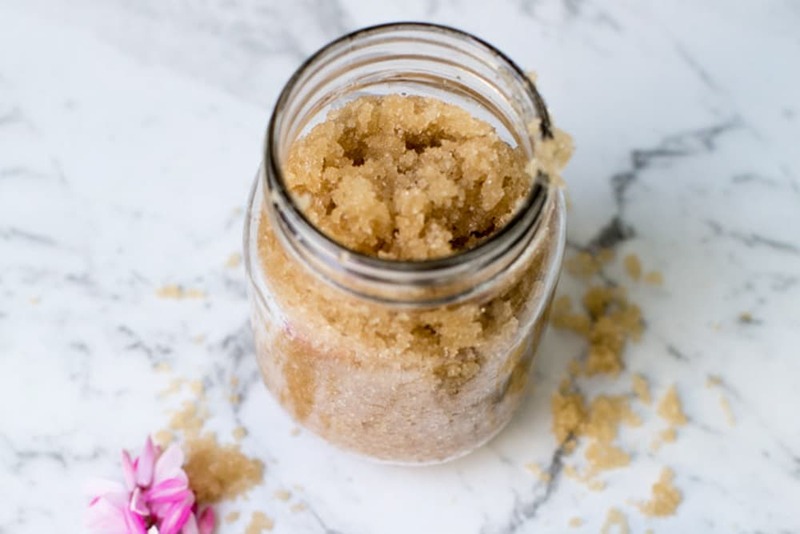 Follow our easy steps on how to make diy body scrub here, how to use sugar scrub, storing sugar scrub then read on for the best sugar scrub recipes using essential oils and other natural ingredients. 2.9.1 Want some cute labels for your homemade sugar scrub? Download our free printable here. What does sugar scrub do? Well, sugar scrub uses are many. The main sugar scrub benefit is of course, exfoliation. Sugars rough texture in our homemade exfoliating scrub is great for removing dead skin cells and leaving your skin glowing and smooth. But did you know that sugar is a natural humectant? Which means that it takes moisture from the environment and draws it into your skin! If you use a soft sugar such as brown, these make perfect facial treatments. Sugar scrub for face benefits include gentle exfoliation and helping your facial moisturizers work better. As all the ingredients are natural it is usually perfect for those with sensitive skin (always do a small test section first though). Exfoliation, along with cleansing, is an important of the skincare regimen. It is essential to rub away the dead skin cells from the surface of your skin and make it radiant. However, one should not go overboard with exfoliation as excess exfoliation will do more harm than good. To scrub correctly first splash water to your face or body. Take one spoon of your homemade scrub for dry skin and gently massage all over your body or face (here avoiding the under-eye area). Rub in circular motions with the help of your fingertips then rinse with lukewarm water and pat dry your skin with a soft towel. Don’t apply too much pressure and do not keep scrubbing for more than two minutes. You may scrub a little harder on rough areas such the T-zone area of the face or elbows, knees, feet and hands. The base for making sugar scrubs are always the same. A natural exfoliator; the sugar. A natural moisturizing ingredient; the oil. A natural fragrance; essential oils. However many of the ingredients used will have extra properties which will affect your skin in a very positive way. We show you how to make a body scrub with coconut oil but this can be changed to any oil you prefer such as olive oil or almond oil. Our recipe is for all natural sugar scrub. 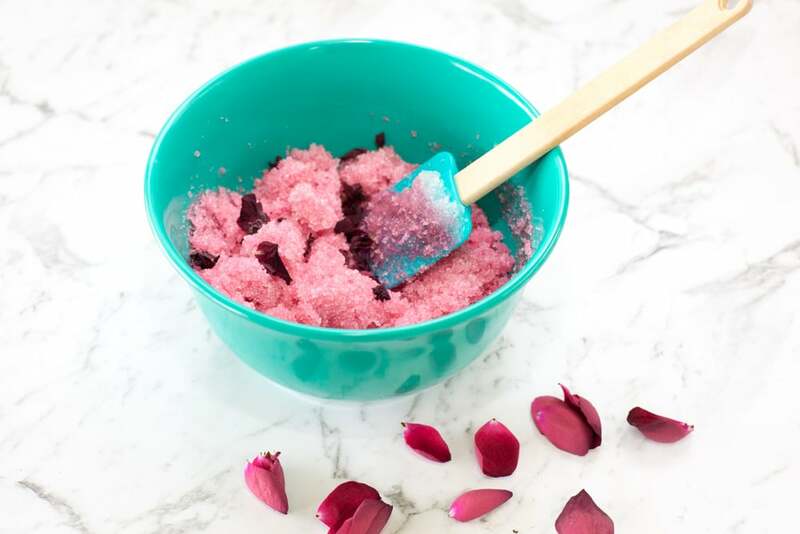 To make organic sugar scrub be sure to use all organic ingredients and color sugar scrubs naturally with fun ingredients like beetroot juice and dried flowers. What is sugar scrub? Just these simple ingredients which we bet you have at home right now. Food Coloring if you want to make your scrub extra pretty. 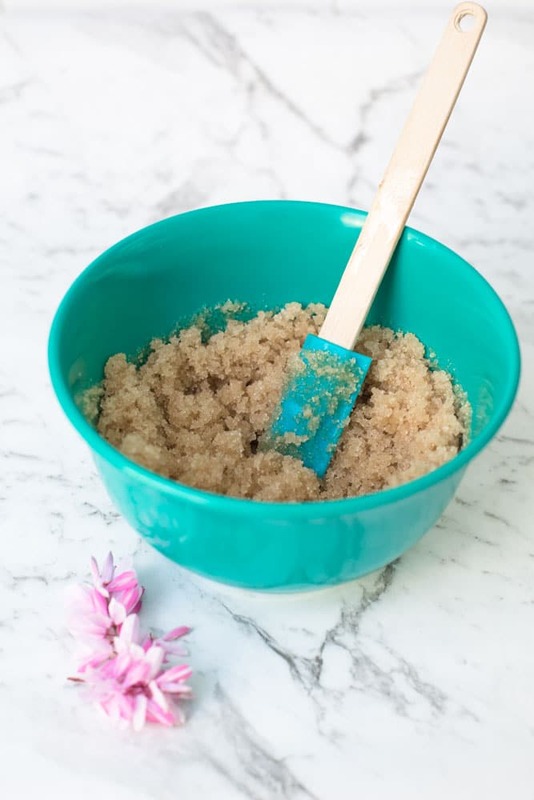 For the best homemade body scrub, we used raw sugar as it has better exfoliating power. If you want a softer scrub, use a finer type of sugar. Add in your chosen essential oils while stirring the mixture. In our sugar scrub recipe, we found about 10 drops but this will vary, depending on the quality of oil you use and the type of oil. You may only need a few drops of stronger scented oils like peppermint but more for floral scents like Rose. To color your sugar scrub add the food coloring at this point. Add a little extra moisturising care to your sugar scrub and pop in the oil from a Vitamin E capsule at this step too. 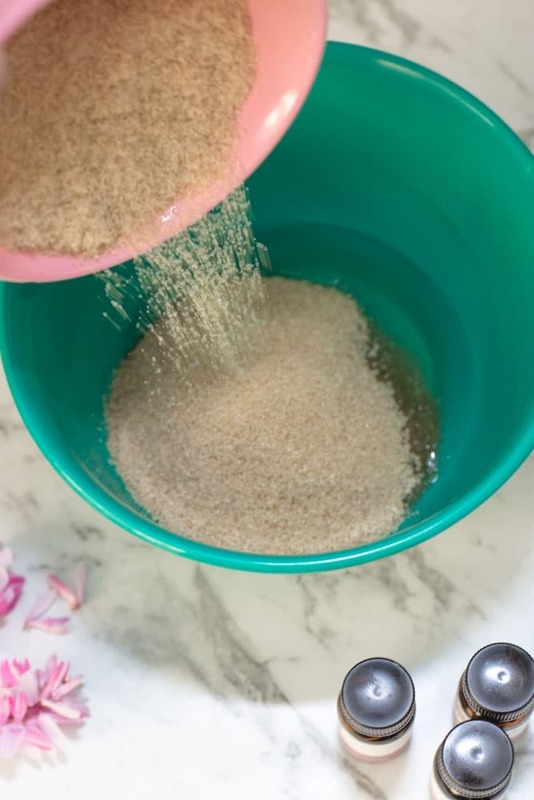 Put your sugar scrub into a container. We love to put ours in mason jars to give as gifts but if it’s for yourself even a Tupperware container will do. If you are giving your creation as a gift the best sugar scrub containers are beautiful mason jars. Or if it is just for yourself a simple Tupperware container will do. You can keep your sugar scrub handy in your bathroom. It is also an option to pop your scrub in the refrigerator. This may be a nice option if you make a cooling Peppermint Foot Scrub. Depending on the oil you have chosen, the mixture may harden when refrigerated but will soon soften again as you handle it. How long does sugar scrub last? 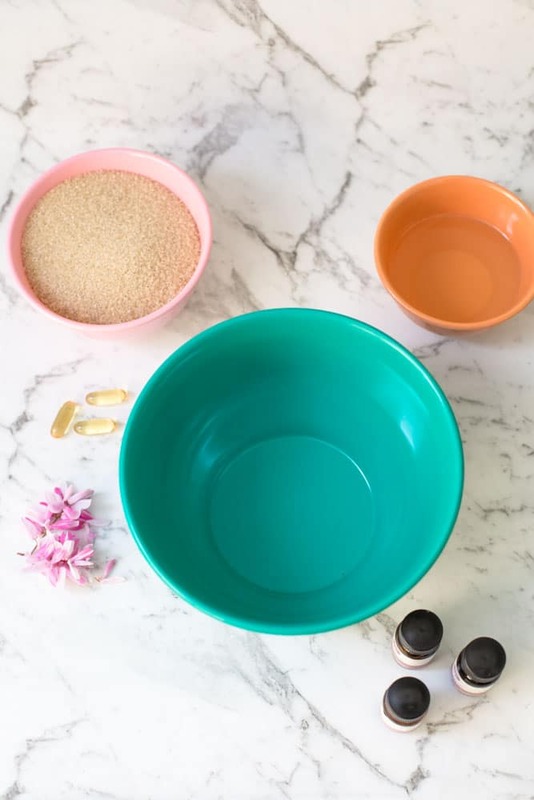 Homemade sugar scrub shelf life can vary depending on the ingredients you use. Keep it in sugar scrub jars that are airtight containers and it can last from 2- 6 months. When you add flowers or other special touches this will reduce the shelf life of your scrub. Many of these homemade sugar body scrub recipes contain essential oils. There are a variety of best essential oils for sugar scrubs. We recommend using the best essential oils you can afford and ones that are all natural. 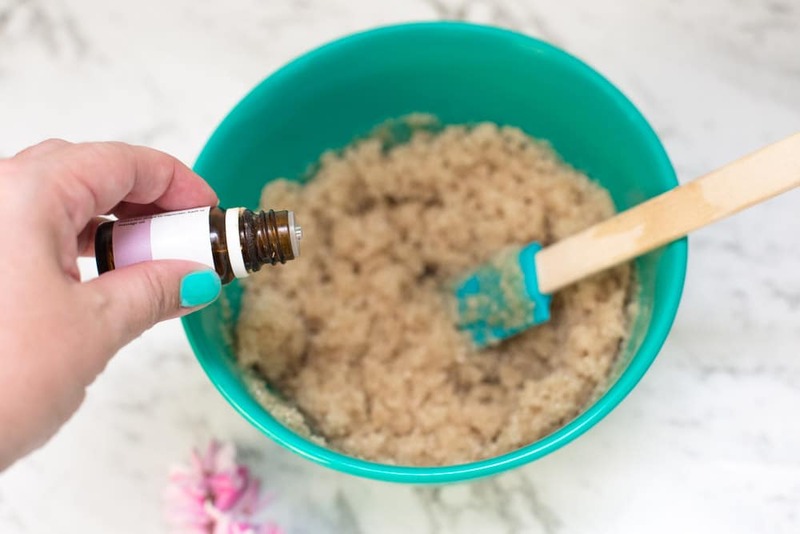 It may be worthwhile testing each DIY sugar scrub with essential oils on a small patch of skin to make sure you have no reactions to the oils used. We think some of the best essential oils for body scrubs are lavender, lemon, grapefruit and peppermint. Homemade sugar scrubs gifts are perfect. We love to pick a special recipe for each person. Maybe a beautiful lavender sugar scrub for Mothers Day, a lemon honey sugar scrub teachers gift or a peppermint foot sugar scrub for the men in your life. A homemade scrub Christmas gift is also the perfect way to show someone you care. A brown sugar face scrub with coconut oil makes a great homemade facial treatment. The honey will add extra moisturizing effects while the scrub unclogs pores and exfoliates. Want to save lots of money on your beauty treatments? Head to our homemade Brown Sugar Coconut facial scrub here. Need to treat yourself? Make a DIY sugar scrub with essential oils then read our 15 Self Care Habits to Practice with Your Alone Time. Our sugar and honey body scrub has so many great benefits. Honey has wonderful antiseptic and antibiotic properties with loads of vitamins and goodness. So our honey sugar scrub is guaranteed to leave your skin feeling amazing. 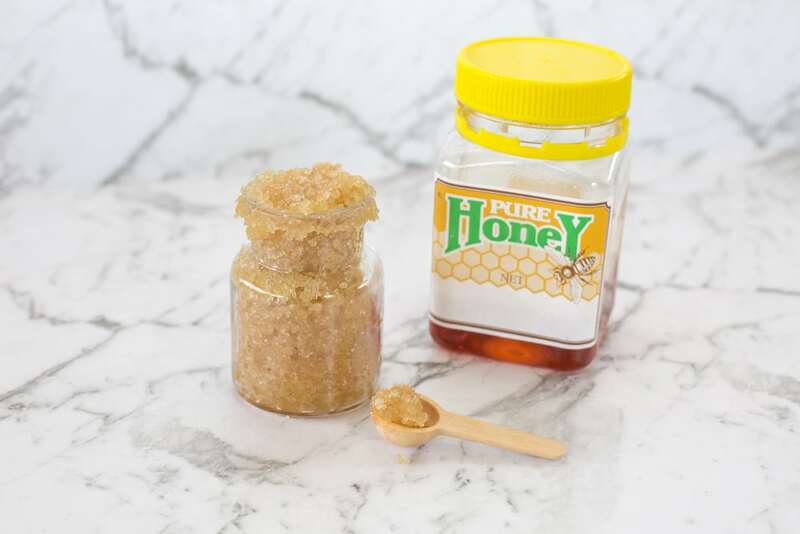 Make your own amazing Honey and Sugar Scrub here. 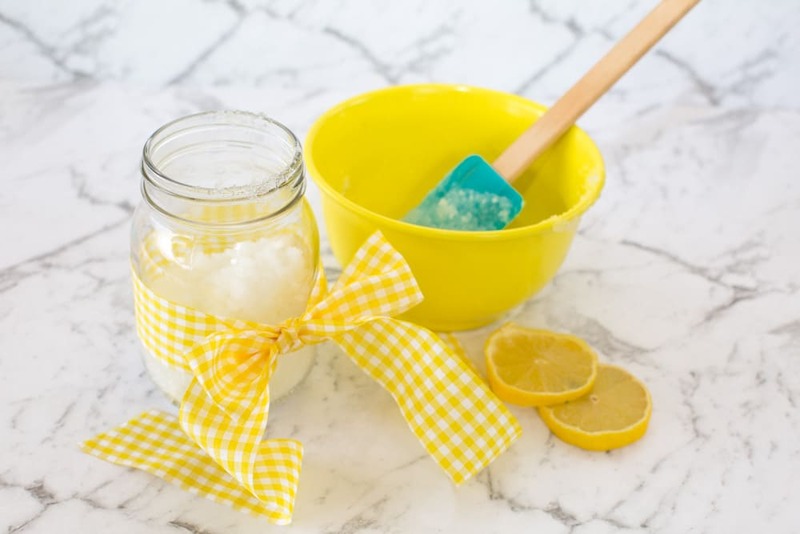 This fresh, scented lemon sugar scrub recipe will be sure to lift anyone’s mood and is the perfect way to start the day. Lemon is also great for oily skin. It would make a brilliant scrub for a teenager or those young at heart. So why not make some delicious lemon sugar body scrub for someone today? Find out how easy this Mint and Lemon sugar scrub is to make here. Lavender has amazing calming effects but did you know it is also great for muscle-aches, anti-aging and blood circulation. We think this scrub would make a perfect Mothers Day Scrub or Teachers Gift. It is also a great homemade body scrub for dry skin. 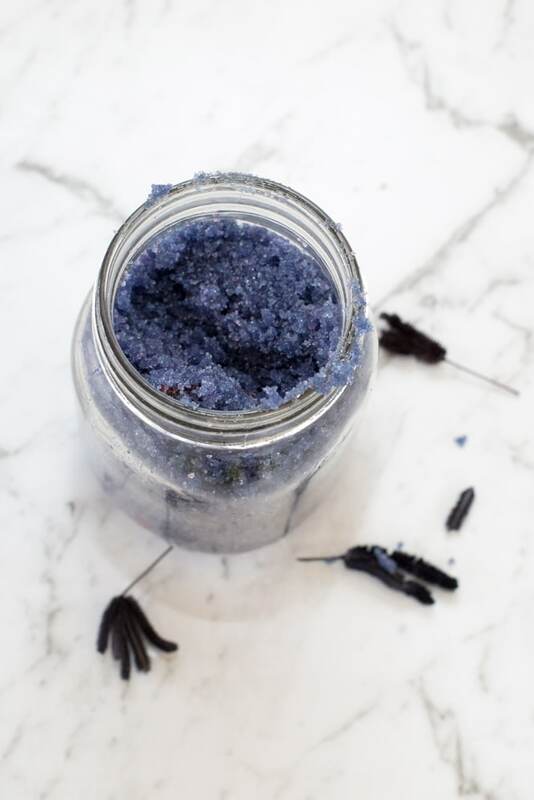 Discover how to make this relaxing Lavender Sugar Scrub here. Rose and Frankincense not only smell amazing but they have brilliant anti-aging properties. Frankincense has amazing anti-aging, anti-inflammatory and wound healing properties. If you decide to color your scrub we suggest a lighter colored sugar to make a really pretty sugar scrub. Click here to find our Rose and Frankincense Sugar Scrub. 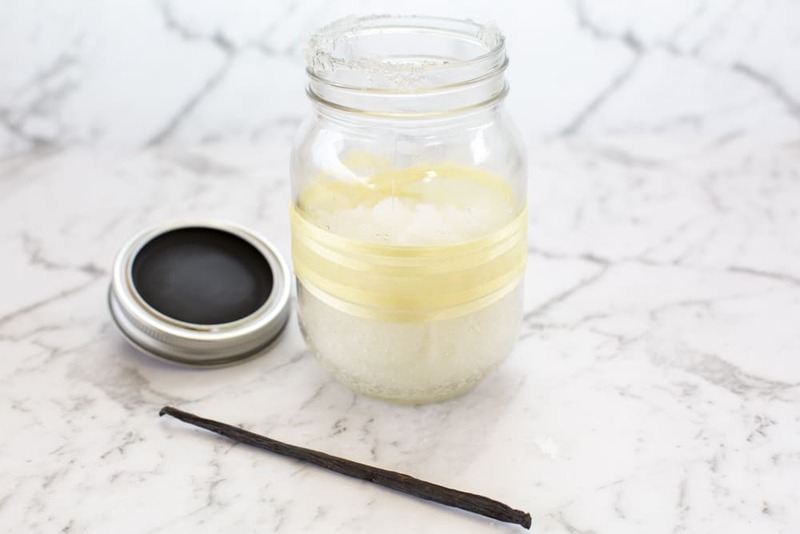 Vanilla sugar scrub recipe smells divine and makes the perfect vanilla body scrub. By using ingredients you find in your pantry we are sure it will save you money too. So simple and beautiful. Click here to head to our Vanilla Coconut Sugar Recipe. Looking for more ways to save money? Check out our post on easy ways you can save money now. 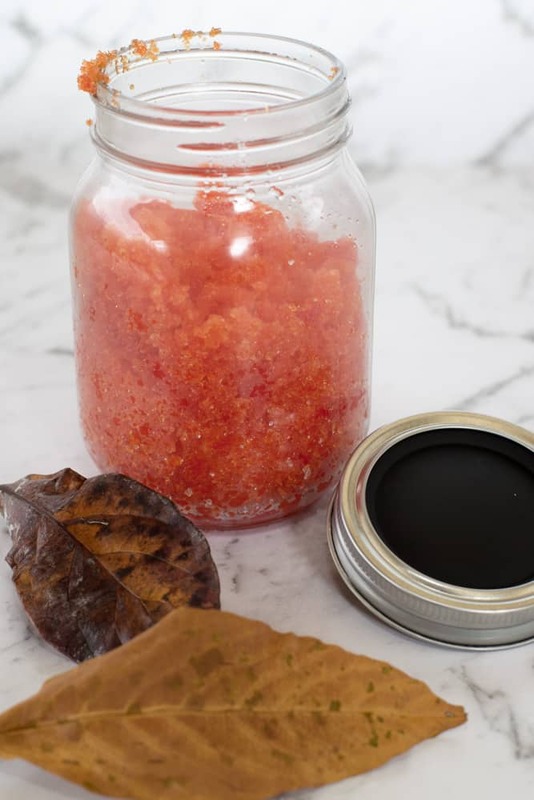 Get into the season of fall with this delicious scented Fall Pumpkin Spice Sugar Scrub. Create a holiday mood with amazing sugar scrub scents. Peppermint Sugar Scrub is also super versatile. 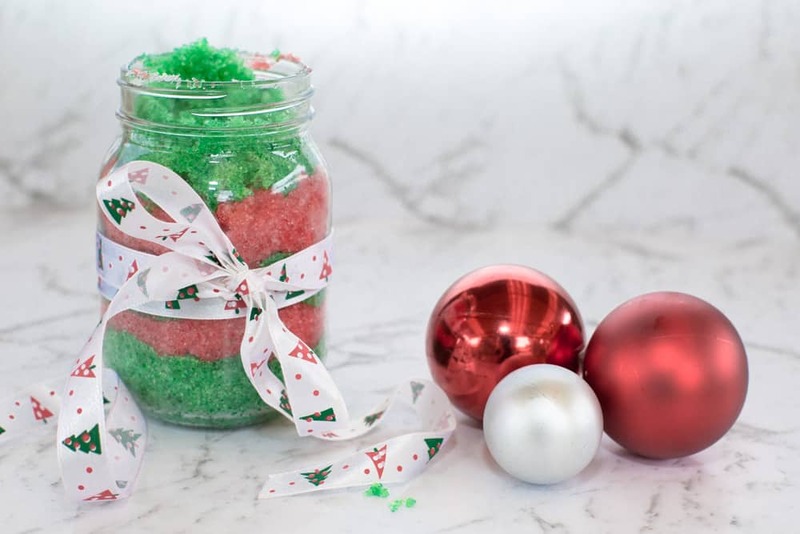 Use red dyed scrub and plain scrub layered in a jar to make a pretty Christmas Sugar Scrub. You could also leave it undyed and use Raw sugar to make a relaxing Foot Sugar Scrub. Head to our peppermint sugar scrub recipe here. Christmas Sugar Scrub makes such a gorgeous and simple homemade Christmas gift. It will be sure to put anyone in the Christmas spirit. 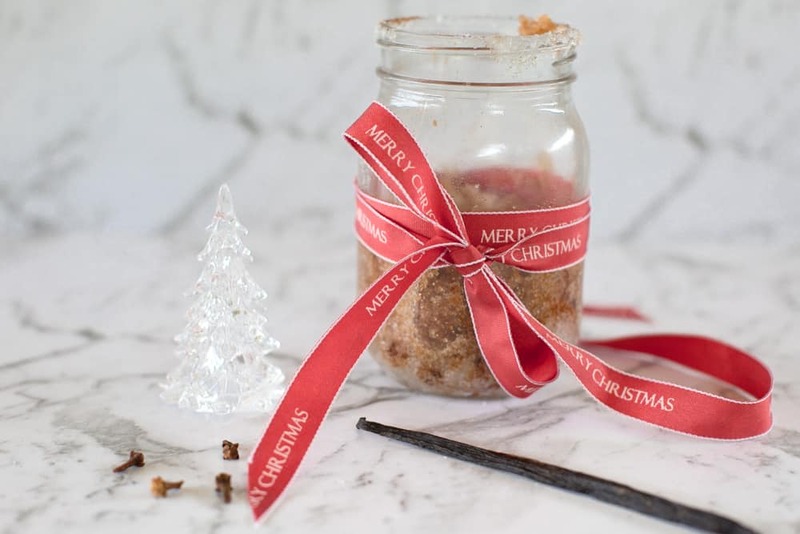 Click to find out what amazing Christmas spices are in this festive body scrub. Another great Christmas Scrub is a Peppermint Sugar Scrub. Want some cute labels for your homemade sugar scrub? Download our free printable here. Meraki Mother hope you loved these easy and gorgeous sugar scrub recipes. Be sure to Pin for next time you need a quick and easy homemade gift.